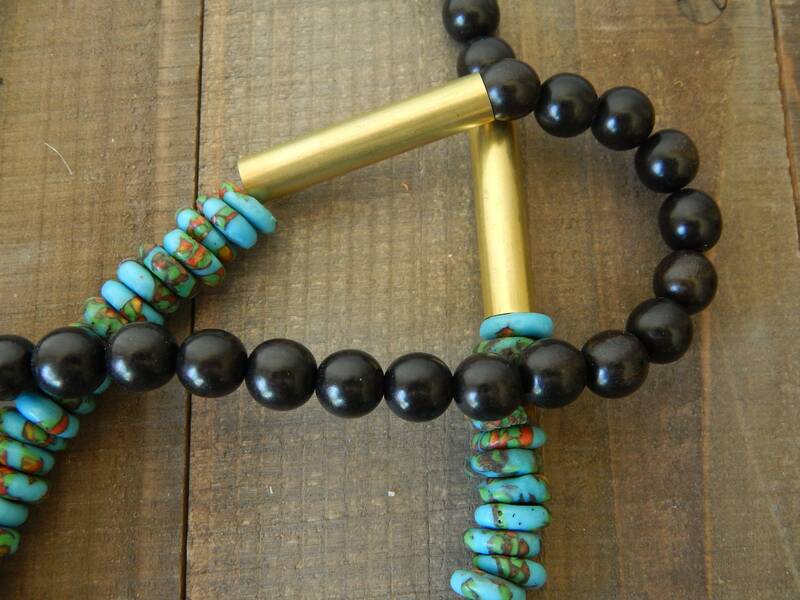 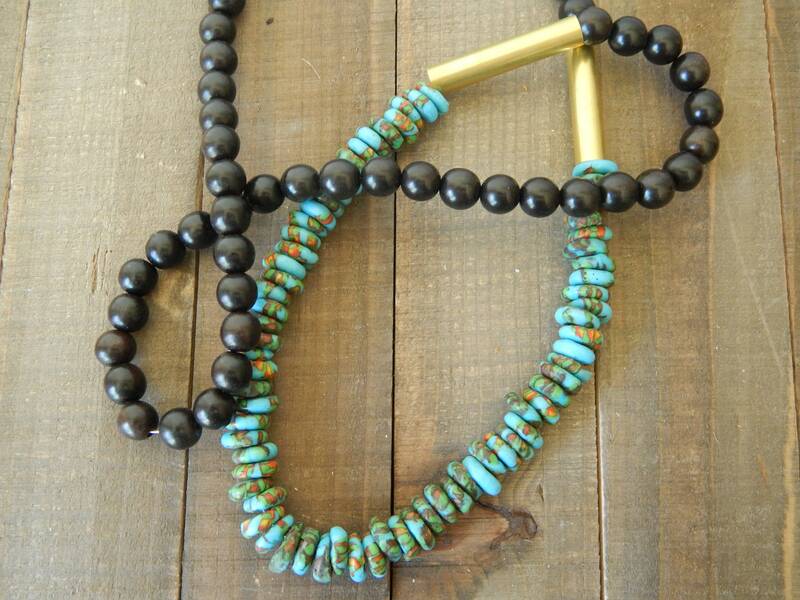 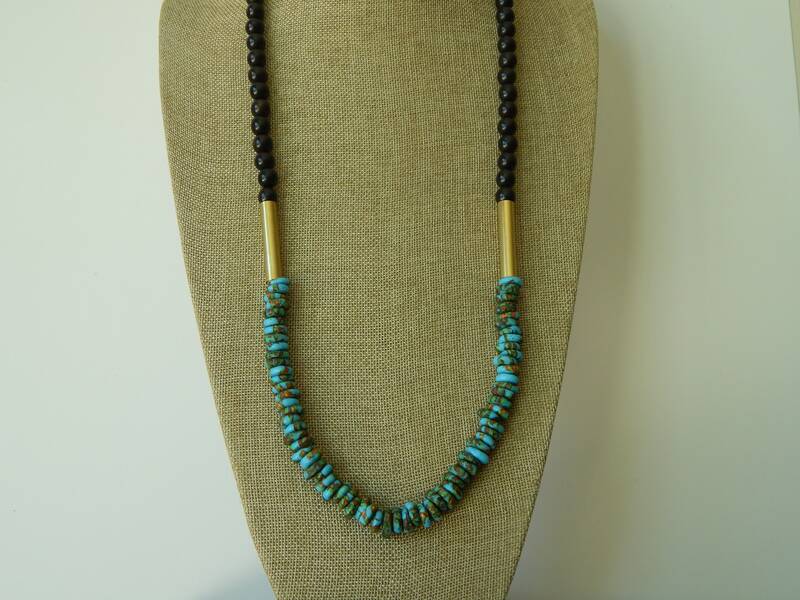 Ebony wood beads with colorful recycled african glass rondelles lend this necklace its beachy glam vibe. 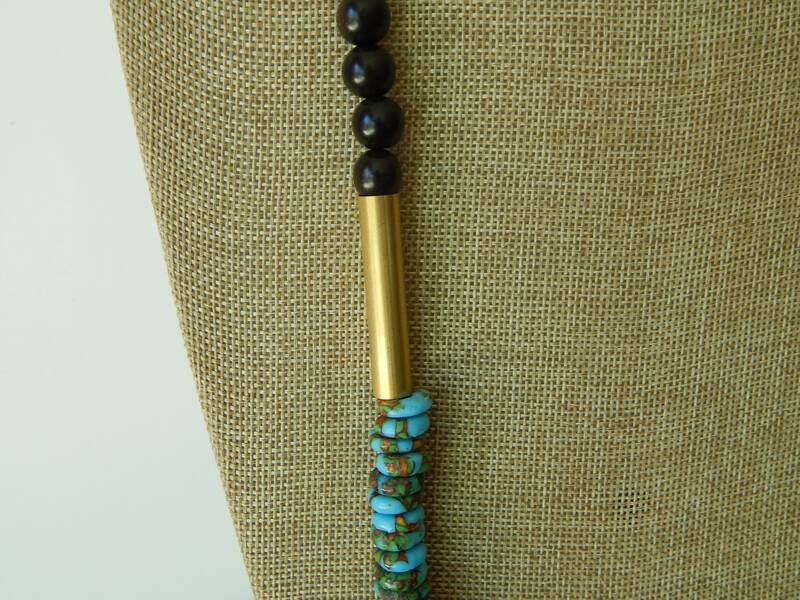 Easily layers with others from my shop and the colors are perfect for this fall and winter. 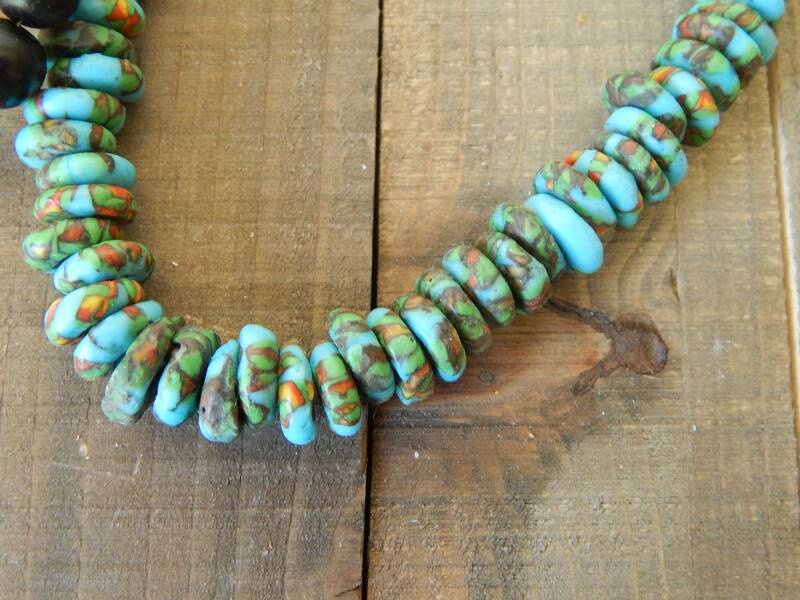 Also available with white beads. 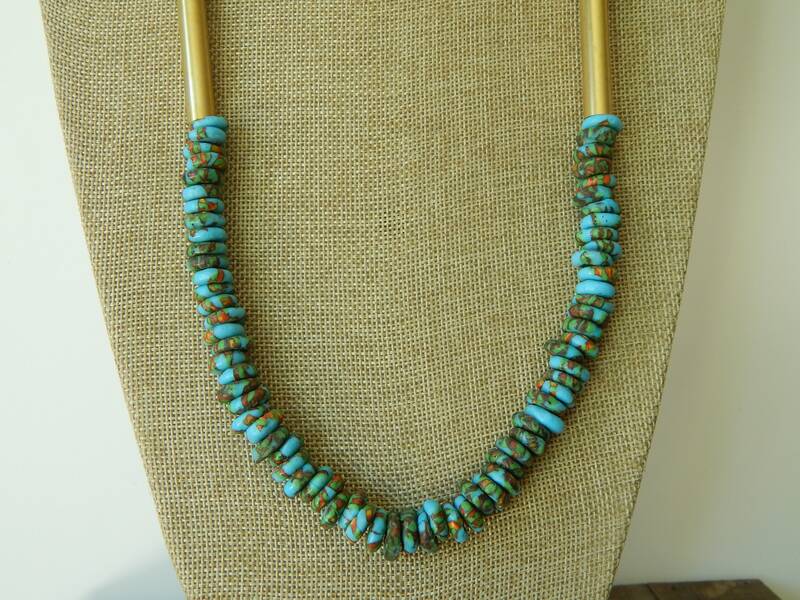 Necklace length is 34 inches long and beads measure 10-12mm.